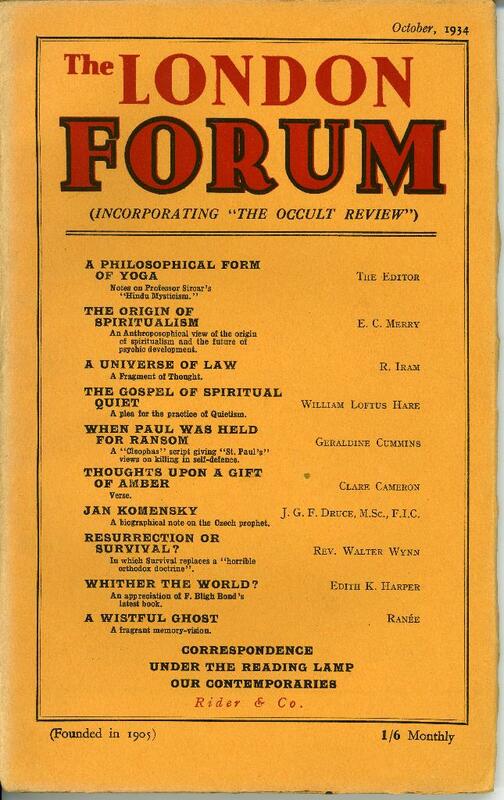 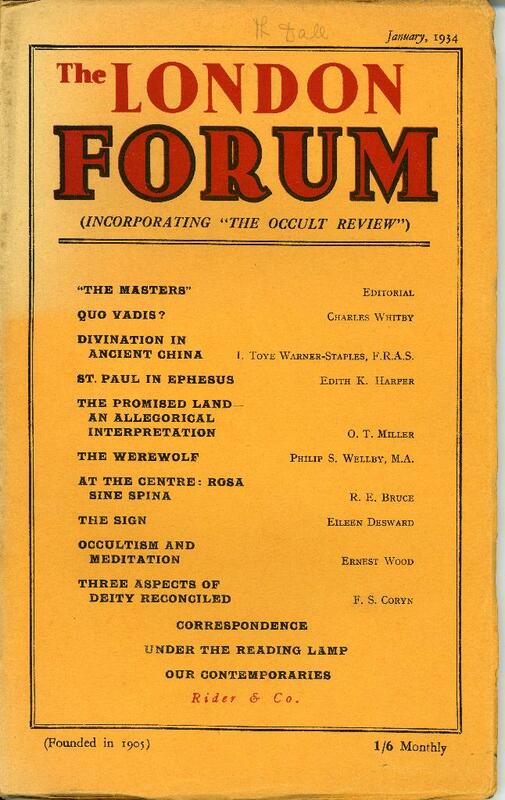 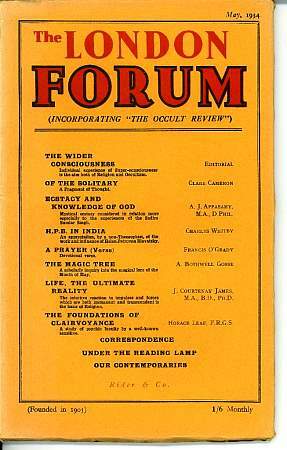 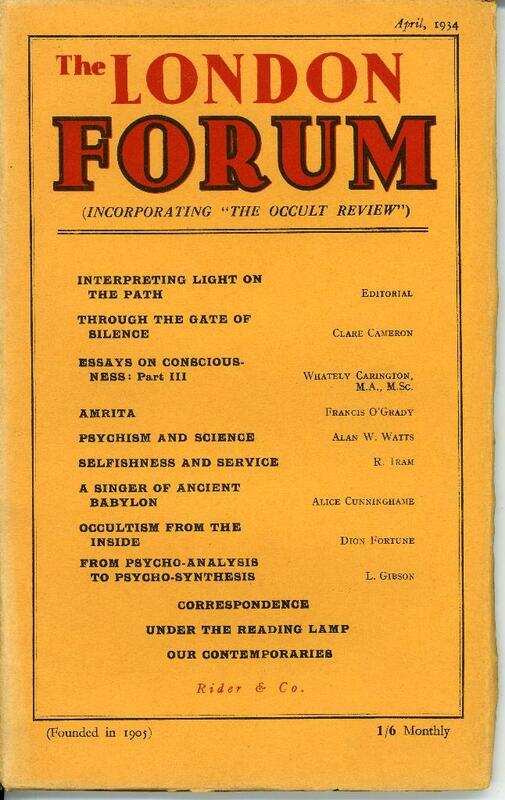 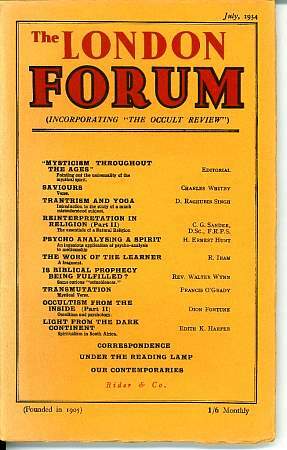 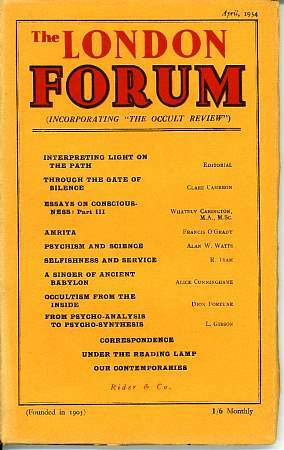 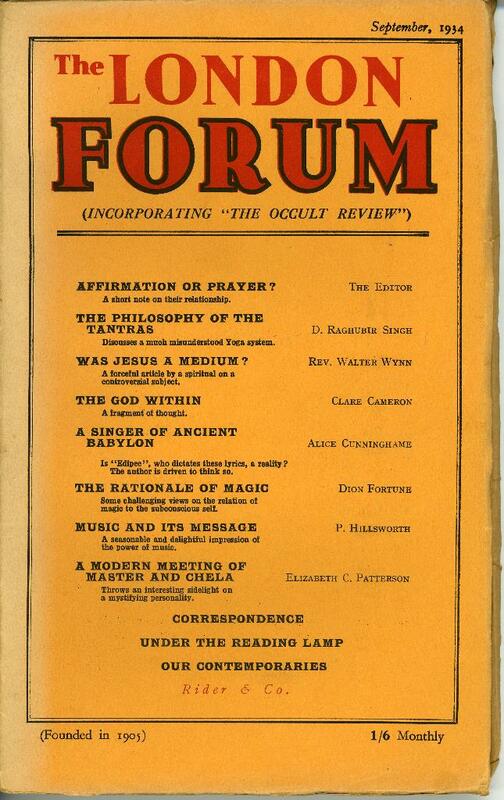 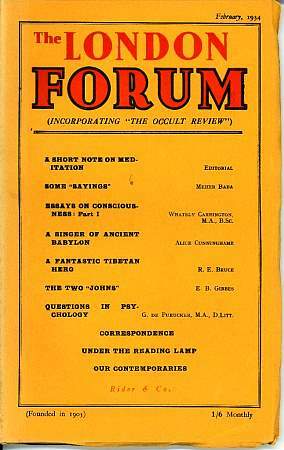 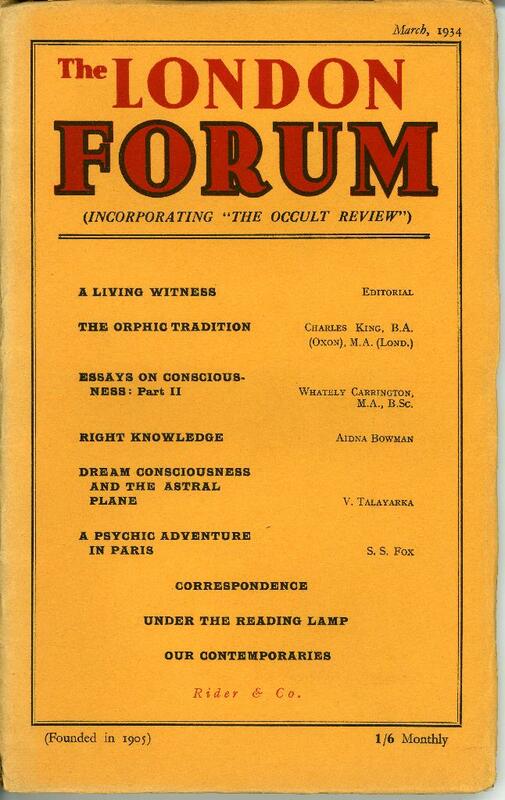 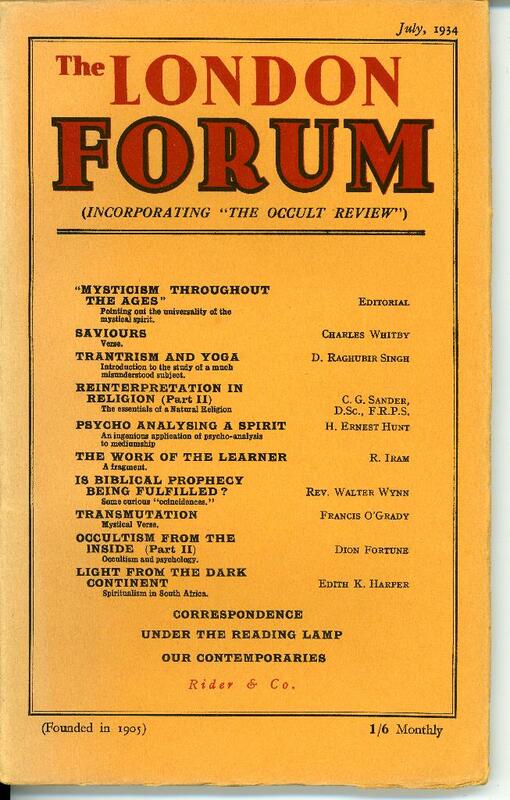 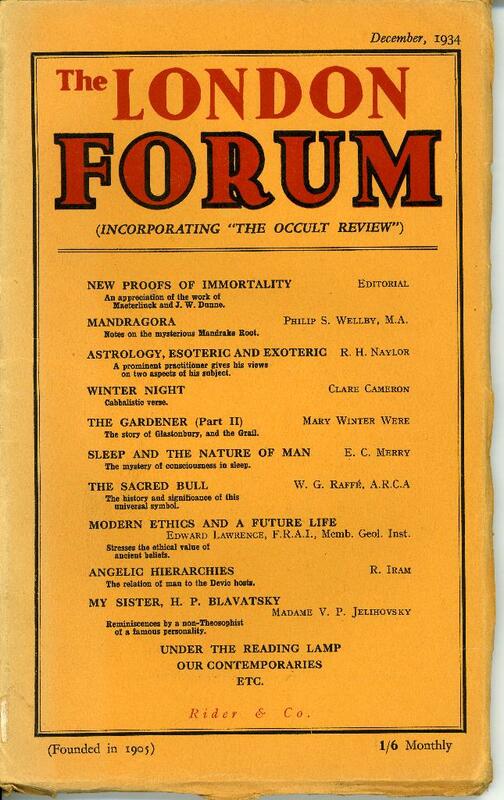 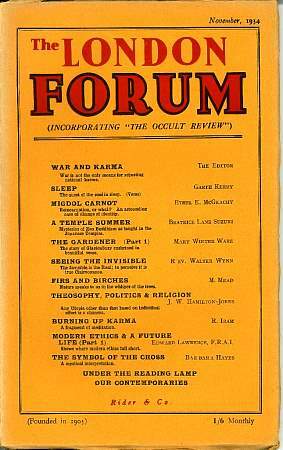 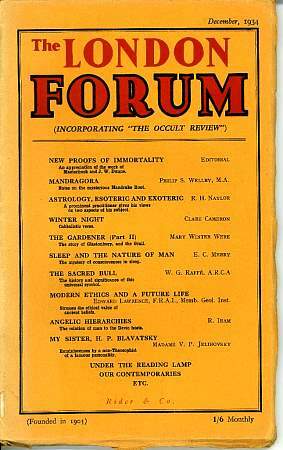 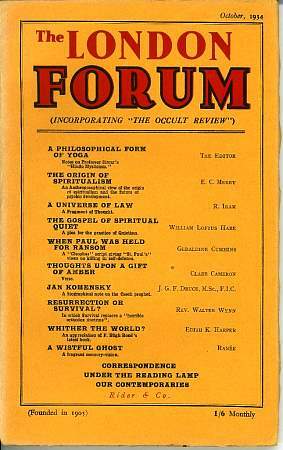 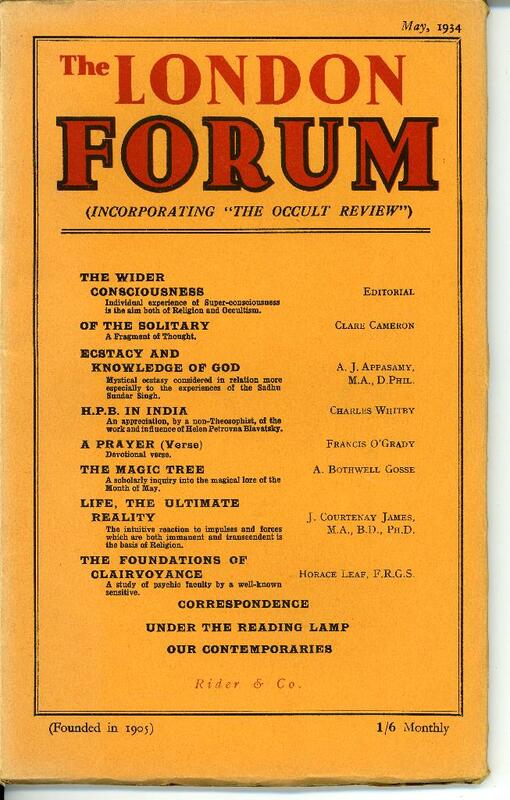 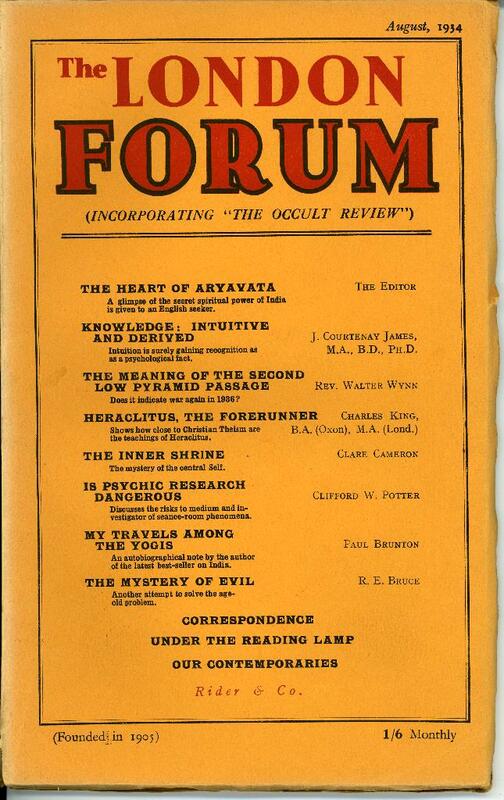 Several long runs of The Occult Review from 1905-1948, starting with a bound run from 1905-1921, and continuing through to 1948 in individual numbers including examples from its guise as The London Forum (Incorporating "The Occult Review")from 1933 until it semi-reverted back to The Occult Review (incorporating the "London Forum")as a quarterly. 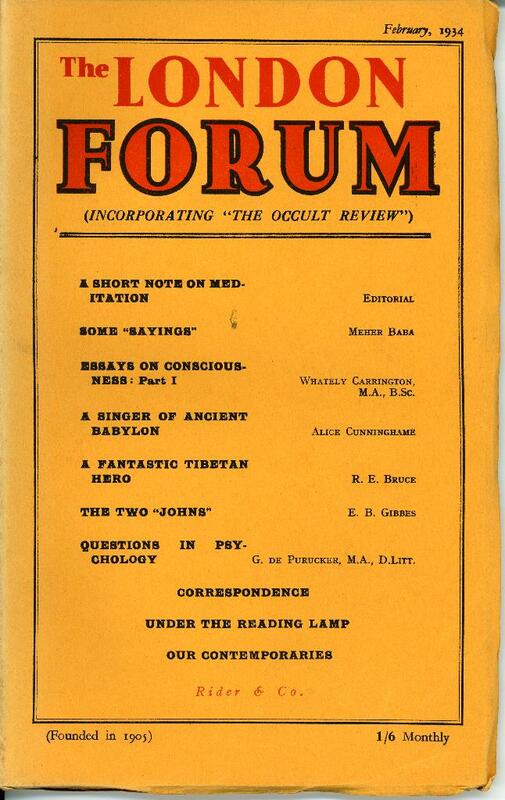 1) The first 21 volumes bound in maroon publishers cloth, from January 1905 to June 1915. 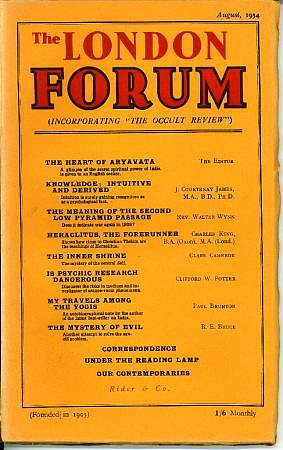 2) A run of 307 parts of which 85 are bound in 14 volumes:- parts 1905, Feb. 1908, September and October. 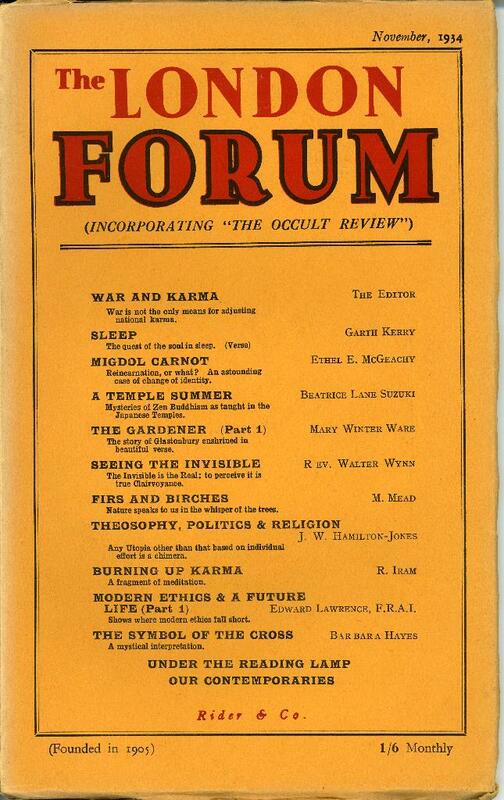 1914, March, July and August. 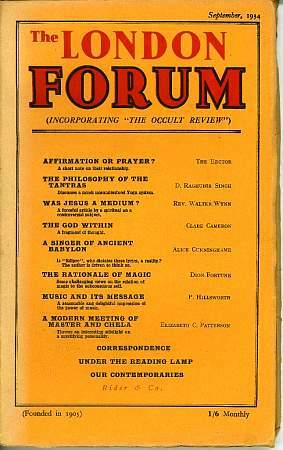 1915, Jan. to June, in paper wraps. 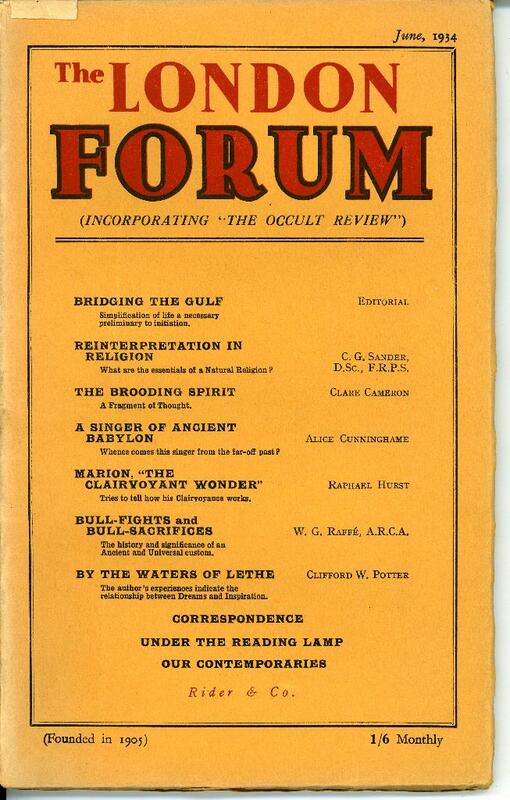 13 bound vols, [green cloth with gilt] a run from July 1915 to Dec.1921, then parts [one of which is unbound] 1922 Jan. to 1932 Jan. [lacks 1932 Feb.] 1932 March to 1936 Oct., the monthly then becoming a quarterly, complete to Christmas 1948 lacking Oct 1944 and Jan 1945.